While all forms of vitamin E supplements help meet your body's requirements, the University of Maryland Medical Center says healthcare providers generally recommend natural vitamin E, also known as d-alpha-tocopherol, or natural mixed tocopherols over synthetic vitamin E (dl-alpha-tocopherol). Mayo Clinic also recommends natural over synthetic forms of vitamin E supplements for pregnant and nursing women. 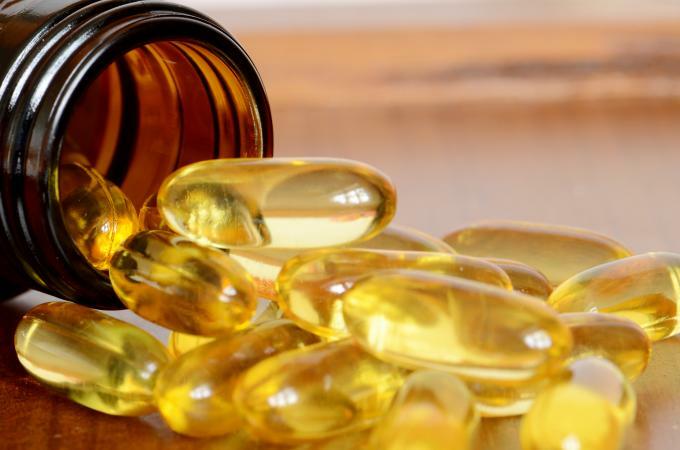 Linus Pauling Institute says synthetic vitamin E supplements are less bioavailable (not as well utilized by the human body) than natural vitamin E. So, natural vitamin E supplements appear to be your best bet. Synthetic vitamin E can also do the trick, but you may need higher doses of it. In addition to natural and synthetic alpha-tocopherol supplements, other naturally occurring forms of vitamin E exist. These include beta-tocopherol, gamma-tocopherol, delta-tocopherol, alpha-tocotrienol, beta-tocotrienol, gamma-tocotrienol, and delta-tocotrienol. But the Office of Dietary Supplements says alpha-tocopherol is the vitamin E form recognized to meet human requirements. Softgels, Tablets, Oils, or Capsules? Choosing the right type of vitamin E supplement, whether it be softgels, tablets, capsules, or oils, can be a little overwhelming. Pros and cons exist for each, but all forms of alpha-tocopherol help meet your body's vitamin E needs. Tablets are generally the most cost effective with long shelf lives but can be difficult to swallow. Soft gels, capsules, and oils are easier to swallow but more expensive. The shelf life of oils and capsules is usually shorter that tablets and softgels. However, many softgels are made with gelatin, which is a no no if you're a vegetarian. So while it's a good idea to weigh the pros and cons of each, know that all forms help improve vitamin E levels in your body. Always okay your choice with a doctor, especially if you're taking medications. The following vitamin E supplements are natural, high-quality products receiving high ratings and quality seals of approval. Look for supplements with Consumerlab.com, USP, or NSF International quality seals. Receiving the USP seal for meeting quality and purity standards, Nature Made vitamin E softgels are a good pick. This yeast-free vitamin E supplement contains natural vitamin E so it is utilized well within your body, and softgels are easy to swallow. You can purchase this product in just about any pharmacy and grocery store chain or online. A 225-count bottle will cost you about $27. Certified by Consumerlab.com's product quality seal, Nature's Bounty is another safe bet when it comes to natural vitamin E softgels. This product is yeast-, gluten-, and wheat-free, and contains alpha- and mixed tocopherols. Look for Nature's Bounty in your local supermarket, health food stores, or online. You'll pay about $32 for 120 softgels. Wegmans brand natural vitamin E softgels hold the NSF seal for quality and safety, making this product a top pick. The supplement provides you with mixed tocopherols, which closely resembles vitamin E in whole foods. Wegmans vitamin E is also USP certified. Check out your local Wegmans store or order this supplement online. You'll pay about $6 for 30 softgels. Carlson brand vitamin E softgels have received Consumerlab.com's quality seal of approval, which is why you can't go wrong with this natural product. It also provides mixed tocopherols and is gluten-free, but you'll pay just under $13 for 60 softgels. Look for Carlson brand at nutrition stores, or get it online. Looking for a natural vitamin E supplement that's vegan and gluten-, yeast-, wheat-, and GMO-free? If so, Deva vegan vitamin E supplements (containing mixed tocopherols) may be right up your alley. Check your local health food store or get this product online. You'll pay about $20 for 90 capsules. What About Vitamin E From Foods? If you can get natural vitamin E from foods versus supplements, this is usually the best route to go. The University of Maryland Medical Center says vitamin E (and other antioxidant) supplements may not work as well as getting vitamins from antioxidant-rich foods for cancer prevention. So load up on vitamin E-rich foods and take vitamin E as part of a multivitamin supplement to help prevent deficiency. Adults need at least 15 milligrams of vitamin E daily (19 milligrams daily for nursing women), which is the recommended dietary allowance (RDA) for vitamin E. Dosing recommendations are the same regardless of your vitamin E source. Just know that when taking synthetic vitamin E, your body will utilize less of it compared to natural vitamin E so you may need a slightly higher dosage. Avoid exceeding the tolerable upper intake level, which is 1,000 milligrams of vitamin E from supplements daily for adults. Vitamin E is naturally a fat-soluble vitamin, but water soluble vitamin E supplements are available. The University of Maryland Medical Center and the Office of Dietary Supplements says people who don't absorb fat well, such as people with cystic fibrosis or Crohn's disease, can take water-soluble forms of vitamin E supplements like tocopheryl polyethylene glycol-1000 succinate. Many people can meet daily vitamin E requirements by eating a variety of vitamin E-rich foods and taking multivitamin supplements containing vitamin E. However, if you're deficient in vitamin E or not absorbing it properly, chat with your doctor about which vitamin E supplement is right for you.